The great ancient city of Teotihuacan is of crucial importance for understanding how market economies originated and grew in ancient times. When and how did commercial institutions such as marketplaces, shops, money, and merchants develop? There are only a few places in the world where archaeologists have identified a trajectory that goes from early non-commercial economies to later commercialized societies, and Teotihuacan sits right in the middle of one of those sequences. Prior Mesoamerican societies such as the Olmec almost certainly lacked commercial institutions, but by the time Cortés conquered Mexico, the Aztecs had active marketplaces, entrepreneurial professional merchants, money, and a profit motive. How and when did these institutions develop? Teotihuacan is key to answering this question. Archaeologists have some information about the city's economy, but not enough to determine its level of commercialization.When this gap is filled, it will greatly illuminate our understanding of how market economies developed in the ancient past. Today the market runs the world. Capitalism has triumphed, and it is now so pervasive that many people have trouble even thinking about what a non-market economy would look like. Our most recent examples are the socialist countries of eastern Europe and Asia, and in those cases state-controlled, non-market economies have either failed or they have transformed into some variant of capitalism. What about ancient societies? How far back can market economies be traced? Before the Urban Revolution, markets were either absent, or else they played a very minor role. Societies and economies were small and organized through face-to-face contacts. It is often difficult to even single out "the economy" as a distinct sphere in these small-scale societies, since production and exchange were deeply embedded within kinship groups and customary practices. Some of the early states had commercial institutions like markets, money, and merchants, but how common were these? For decades archaeologists, anthropologists, and ancient historians were locked in a rather narrow academic debate about such economies. On one side were the "formalists," who claimed that modern economic rationality is universal in human societies, and that the models and methods of economics can be applied to all societies. The market is (and was) everywhere. On the other side were the "substantivists" (e.g., Karl Polanyi) who insisted that the market was a capitalist invention of the past few centuries, and that ancient states lacked markets and commercial economies. As in many such debates, both sides were right, and both sides were wrong (see basic textbooks in economic anthropology on this; Wilk and Cligett 2007 is probably the best one). Today we know that ancient states had widely varying economic systems. The Mesopotamians and Aztecs had commercialized economies, but the Egyptians and Inka lacked markets and commercial institutions; they were command economies (see Smith 2004). The Greeks and Romans lined up with their ancestors, the Mesopotamians, but we still haven't figured out the level of commercial development in ancient China and India. Or Teotihuacan. The ancient Mesopotamian economy featured money for millennia before the (Greek) invention of coinage. Babyloniam merchants were highly entrepreneurial. Money-lending was common, as was a real estate market and other commercial practices and institutions. One of the truly fascinating aspects of this economy is that commercial institutions developed as part of the state and large temples. The market did not originate in opposition to the state, but as PART of the state! Try telling that to laissez-faire capitalists today! Later, of course, markets became independent of governments, but things were not always that way. See Michael Hudson's works on this (listed below). What about ancient Mesoamerica? The first Mesoamerican peoples seen by a European--in Christopher Columbus's fourth voyage--were Maya merchants, paddling a huge canoe in the Caribbean, filled with trade goods, money, and metal smelting supplies. 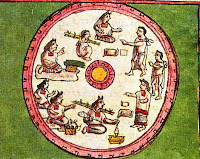 At that time, commercial institutions were widespread, not only in Aztec central Mexico, but from northern Mexico to Costa Rica. Frances Berdan and I (Smith & Bercan 2003) suggested that market economies developed after the fall of Teotihuacan, during the period when the Aztecs rose to prominence; other archaeologists place the transition earlier. But the fact is that we really don't know, and Teotihuacan is the key here. Why don't we know much about the economy of Classic-period Teotihuacan? First, we need better data. Most of the excavations at Teotihuacan have simply not targeted the kinds of contexts, or recovered the kind of materials, needed to determine the level of commercialization of the economy. We know that Teotihuacan ruled a small empire, that its craft specialists produced many goods, and that its merchants traded widely in Mesoamerica. But these and other features of the city are consistent with both a commercial economy and a command economy. We need more excavations of residential compounds, with full quantification of the artifacts. The second reason we are still in the dark about markets at Teotihuacan is methodological. 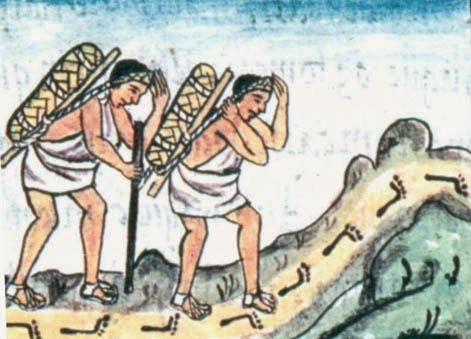 Scholars need to apply current models for the identification of market economies to Teotihuacan. As summarized by Feinman and Garraty (2010), and the papers in Garraty and Stark (2010), many of these models focus on the quantitative analysis of household artifacts. The idea is that commercial economies affect the kinds and quantities of goods consumed by commoners, and therefore commercial market exchange can be identified by the quantitative analysis of domestic inventories. In spite of an active program of research on the economy of Teotihuacan (Carballo 2013; Cowgill 2008), the new models have not yet been applied to the site. This work will require rigorous analysis of artifacts, using the ASU Teotihuacan Research Facility at the site. Suppose that Teotihuacan turns out to have a highly commercialized economy. That would suggest a deep history for markets in Mesoamerica, with the implication that markets may have developed in early, pre-urban societies. 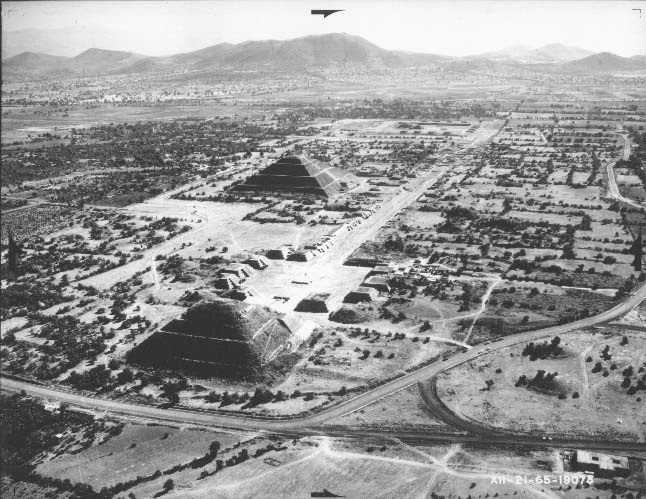 But if the economy of Teotihuacan turns out to be only weakly commercialized, then the origin and spread of market systems was probably linked to the processes of population growth, political centralization in small polities, and growing inter-regional connections that characterized Postclassic Mesoamerica (Smith and Berdan 2003). It would mean that Mesoamerican urban state societies were perfectly capable of operating successfully without the strong markets that came along in the Aztec period. But whichever of these pictures turns out to be more accurate, data from Teotihuacan will go a long ways toward answering some of the fundamental questions on human society and its development over the long run. Stay tuned; I plan to explore the relevance of Teotihuacan for other basic human questions in future posts. As a prominent component of the Wide Urban World, Teotihuacan has much to teach us. Check out the exhibit, City Life: Experiencing the World of Teotihuacan, at the ASU Museum of Anthropology. *** ADDED FEB 2014: See a TV feature story on Univisión-Arizona (in Spanish) on the "World of Teotihuacan" exhibit. Also, see my prior post on Teotihuacan. Carballo, David M. (2013) The Social Organization of Craft Production and Interregional Exchange at Teotihuacan. In Merchants, Markets, and Exchange in the Pre-Columbian World, edited by Kenneth G. Hirth and Joanne Pillsbury, pp. 113-140. Dumbarton Oaks, Washington, DC. Cowgill, George L. (2008) An Update on Teotihuacan. Antiquity 82:962-975. Feinman, Gary M. and Christopher P. Garraty (2010) Preindustrial Markets and Marketing: Archaeological Perspectives. Annual Review of Anthropology 39:167-191. Garraty, Christopher P. and Barbara L. Stark (editors) (2010) Archaeological Approaches to Market Exchange in Ancient Societies. University Press of Colorado, Boulder. Hudson, Michael (2004) The Archaeology of Money: Debt versus Barter Theories of Money's Origins. In Credit and State Theories of Money: The Contributions of A. Mitchell Innes, edited by L. Randall Wray, pp. 99-127. Edward Elgar Publishing, Northamton, MA. Hudson, Michael (2010) Entrepreneurs: From the Near Eastern Takeoff to the Roman Collapse. In The Invention of Enterprise: Entrepreneurship from Ancient Mesopotamia to Modern Times, edited by David S. Landes, Joel Mokyr and William J. Baumol, pp. 8-39. Princeton University Press, Princeton. Hudson, Michael and Baruch A. Levine (editors) (1996) Privatization in the Ancient Near East and Classical World. Peabody Museum Bulletin vol. 5. Peabody Museum of Archaeology and Ethnology, Harvard University, Cambridge. Smith, Michael E. (2004) The Archaeology of Ancient State Economies. Annual Review of Anthropology 33:73-102. Smith, Michael E. and Frances F. Berdan (editors) (2003) The Postclassic Mesoamerican World. University of Utah Press, Salt Lake City. Wilk, Richard R. and Lisa C. Cliggett (2007) Economies and Cultures: Foundations of Economic Anthropology. 2nd ed. Westview Press, Boulder, CO. I forgot to mention in the post one of the reasons why I think Teotihuacan had a relatively low level of commercialization: the lack of shops. Excavated dense urban centers in highly commercial economies (such as Mesopotamian Ur, Greek Olynthus, Roman Corinth) all had shops, identified as small rooms that opened onto streets, often with an opening onto a residence in back. 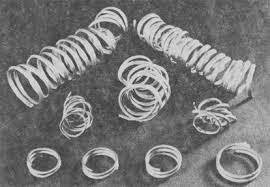 They often have weights and measures, stockpiled goods, and other signs of petty commercial activity. Most experts think Teotihuacan had a marketplace, and I agree. But the question is the level of commercial activity, and it will take more research to determine this with rigor. Great post. While the distribution of household assemblages is clearly the best way to go, I was curious to your thoughts regarding soil chemical analysis to directly identify marketplaces. Dahlin et al. (2007) had some success at Chunchucmil, but I have not seen much of this approach since then. Yeah, soil chemistry can be very informative in the right contexts. It would be nice to see some "ethnoarchaeological" studies of soil chemistry of modern periodic markets, to construct a baseline for ancient applications. I think I have seen something like this, but can't recall a citation right now. You might be thinking of the Dahlin article I mentioned above, they used ph values from a modern market in Guatemala to operationalize their study of Mayan marketplaces. It's a technique that still lends itself to presence or absence inferences, household distributional studies are still the best way of identifying the level of commercialization. But, there is potential, particularly in the urban context where you could quantify which open spaces qualified as marketplaces, and how that changed over time. 2007 In search of an ancient Maya market. Latin American Antiquity:363-384. Yes, that must be the paper. It is an advance, but a single ethnographic case is not a very strong basis for comparison (see my post on making arguments in Publishing Archaeology: http://publishingarchaeology.blogspot.com/2012/12/how-do-archaeologists-make-arguments.html. ) I see this as an exciting exploratory study, but not a strong empirical argument. Just a point on the margins, since it doesn't deal with Teotihuacan proper, is that of terminology. I'm unhappy with how terms such as commercial and market are sometimes used. Marx and Braudel taught us that markets are quite distinct from capitalism. It all turns whether you have a Commodity -Money -Commodity or Money -Commodity -Money relation. The latter is only possible if you have an universal form of money, which first emerged in Greece with the development of coinage. Only after the Renaissance can we see this being extended at such a scale and intensity that we get capitalism. 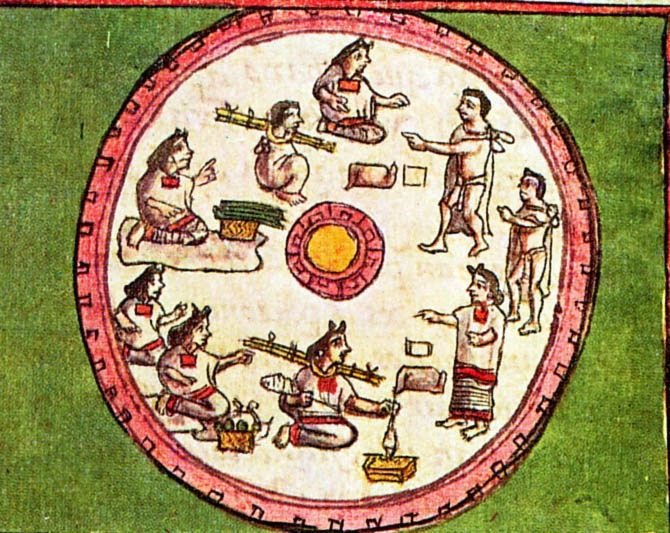 In my view, there were never universal money forms in Mesoamerica, since all things that were used in this way (cacao, jade) have other kinds of values and uses as well. So, while there were markets aplenty in Mesoamerica, I wouldn't want to conflate them with post-Renaissance capitalism. Not to say that you argued that, but I think the point needs to be hammered in, in order to appreciate cross-cultural differences.